Like it says on the tin. Should be an entertaining evening. Check previous Post 84 post. Hope you have a good night and fun is had by all. went well yeah. 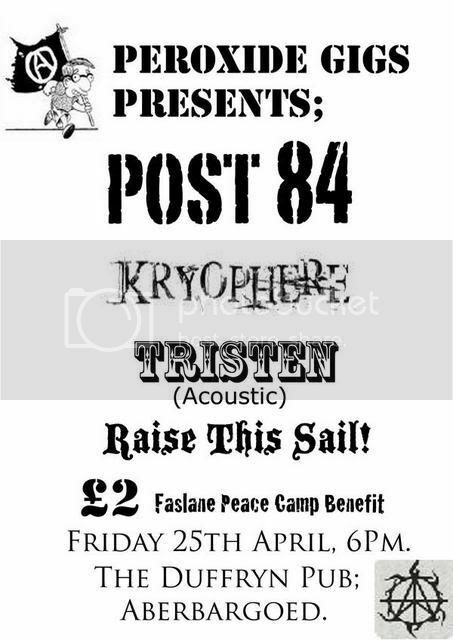 £200 for Faslane, and a nice old school feel, with the bands on the floor, no stage stylee! Nice. All organised by Peroxide & her young fella. The kids do care. Sorely tempted to go up to Faslane next weekend now. Should be a hoot. It's those sort of things that restore my faith in the yoof, but then again it is all down to the parents!